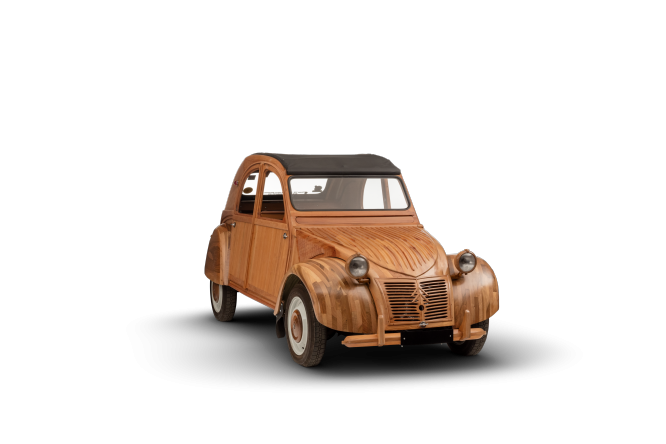 This astonishingly detailed full-scale wooden replica 2CV has just been added to Citroën’s virtual museum as a tribute to woodworker Michel Robillard’s skills. Ready to run on the road, the 2CV took six years and until Friday will take the place of the ‘real’ 2CV in the Citroën Origins online museum. Known to French people as the Deuche, the air-cooled 2CV has been a favourite since 1948 and came with the earliest form of air-conditioning – folding opening windows – and bouncy suspension, said to be to allow farmers to use it on fields (gently). 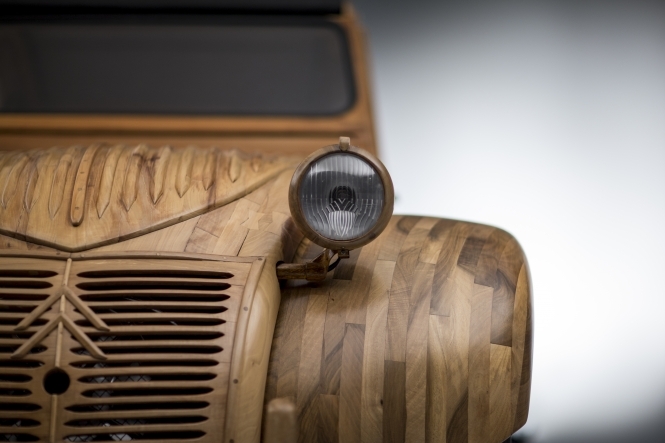 Mr Robillard used a variety of different woods such as pear, apple and walnut for the bodywork of his car (it is not a model), which is based on a Citroën Dyane 6 chassis from 1966. Citroën have also put an interview and walkround of the car on YouTube and it also shows the detail of the model cars that he also makes.